Videogames have an odd relationship when it comes to romance. The only types that seem to be explored are either chaste pre-existing romances such as Mario and Princess Peach, Link and Zelda, even Shovel Knight and Shield Knight, or romance that is seen as a reward in a mini-game like in most Bioware RPGs. Both have their place in games, but love comes in many flavors and types that could be made quite compelling in an interactive setting. In the case of Cibele, the type of romance explored is not just young love, but one made over a videogame, and it’s just as sweet, intimate, and awkward as it sounds. The best way to describe this game is it shares similarities with the indie detective narrative, Her Story. Instead of pouring over a facsimile of a police database however, you control the faux computer desktop of a nineteen-year old woman named Nina. Between the old website designs, amateur poetry, personal photos, college work, and e-mails found scattered around the screen is a client for a fictional MMO called Valtameri. You can look over the text documents and photos all you want but once you log in to the game, you meet another player named Ichi, and over the span of several months, your bond grows from a mutual friendship to something more intimate. If there’s one thing that is distinctly unique about Cibele is that the game is actually autobiographical. Yes, Nina is not only a real person but she was the lead writer for the game, took the actual events of her life with no noticeable changes, adapted it to a game, and even stars as and voices herself in the FMV sequences inbetween each act. That level of personal, heart and soul investment shows in every second of the project. The dialogue between her and Ichi is awkward, but in a much more honest and sincere way than the stiltedness of Life is Strange. The photos are clearly taken straight from Nina’s actual life and the slow change from being paralyzingly self-conscious to the self-confidence provided by her relationship is subtle but all the more genuine. It’s an approach to storytelling that I honestly have never seen before in an interactive medium, and the result is very engaging. In fact, one of the curious things about Cibele is that it makes its otherwise bare minimal gameplay work. As mentioned before, the closest thing to traditional gameplay occurs when you are in Valtameri, with background details like Nina’s current standing with her friends, family, and teachers informed by the documents and photos throughout the acts. But even then the gameplay basically amounts to clicking on the screen, similar to the Java-based MMO, Runescape. Click to walk, click to attack, click on an icon to emote, click to pull up your message inbox, and so on. There’s also no real failure state or real concrete MMO trappings, with things such as boss fights and level-grinding being highly abstracted and boiled down to fit the click-based gameplay. It’s an approach that works really well from both a budgetary and narrative perspective. Creating an entire RPG system as nothing more than a background detail in what amounts to a love story would be a horrendous waste of resources and time, and it keeps the focus where it needs to be, the time Nina is spending with Ichi. The various acts follow this “less is more” approach as well. Each section is bookended by time jumps of several months, with the desktop containing new material, as well as there being new messages that interrupt you while in Valtameri. What little exchanges that can be found between Nina and her other friends do manage to tell a lot about her emotional state, and also pulls double duty of keeping the focus where it needs to be without diverging into several tangents, intended or otherwise. This is a narrative that could have easily been read as a defiant and ultimately defensive shoutdown of the problems of interacting with people solely online, been made trite by a subplot about the dangers of game compulsion, or a cautionary tale against the all too real practice of catfishing. But while these issues are addressed and pacified with sharp efficiency, Cibele actually maintains several parallels that wouldn’t be out of place in a regular narrative of its kind, like wanting to spend more time with the special person in question or going to great lengths to see them. One of the more powerful resonating moments I had was a sequence where Nina finally started speaking with Ichi outside of the game on the phone and the following chapter showed notes of her trying to calculate how much money she would have to save in order to travel out and see him for real. It’s in moments like these that Cibele shines, not as a traditional game but as a mood piece. It does a great job of not just immersing you in this quintessential part of Nina’s life. As a person, we could completely empathize with her emotional state and thus gets us invested in wanting to see these people make things work despite the extraordinary obstacles in their way. The otherwise banal gameplay echoes Nina’s real struggle perfectly by having the standard gameplay be secondary to her true desire, wanting to be with the other person on the other end of the screen, while not glamorizing it or reflecting it as an unhealthy obsession. If I had a complaint it would have to be the game might be a little too light for its own good. The entire experience can easily be finished in one sitting, my Steam account claiming completion easily took a little over an hour, and what I was left with was an experience begging for more parts. The narrative isn’t missing anything vital, in fact its ending comes from a genuine, bittersweet and ultimately empowering place, but a few extra messages or exchanges happening outside of Valtameri would have gone a long way. It would be easy to write off Cibele as another cheap and short artsy game, but it’s raw emotional base makes it an experience I won’t forget for a while. It’s an experiment in autobiographical mood setting that ultimately works as something both deeply personal as well as relatable. 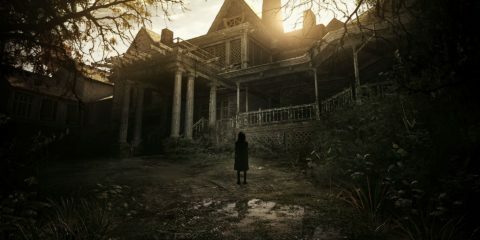 Give it a look if you enjoy the more atmospheric side of games compared to the interactive and you might be surprised what you take from it.